Growth Hormone BoostersScitec GH Surge - 90 kaps. The best product increases the production of hGH and IGF-1! The supplement is based on natural plant extracts and amino acids resulting in an increased production of growth hormone. Achieve your goals faster than ever before! Scitec GH Surge - 90 kaps. Stimulator hormone hGH. Growth hormone production often decreases with age and can result in loss of muscle mass and to increase the amount of fat in the body. Top quality at a good price! ASSIST IN OBTAINING PERFECT DEFINITION OF MUSCLE! Scitec GH Surge is a stimulant hormone hGH. Growth hormone production often decreases with age and can result in loss of muscle mass and to increase the amount of fat in the body. For sporting purposes GH is an important "fat burner", it helps in building muscle and regenerating hormone. Increasing it naturally and cheaply can be a great way to transform your body. Selected hormones in our formula help in synergy to increase production of growth hormone in a completely safe. In addition, L-Arginine is a precursor of Nitric Oxide (NO) and an important precursor to Creatine. Arginine supplementation is common among athletes and bodybuilders, as well as our connection Arginine, Ornithine and Lysine. 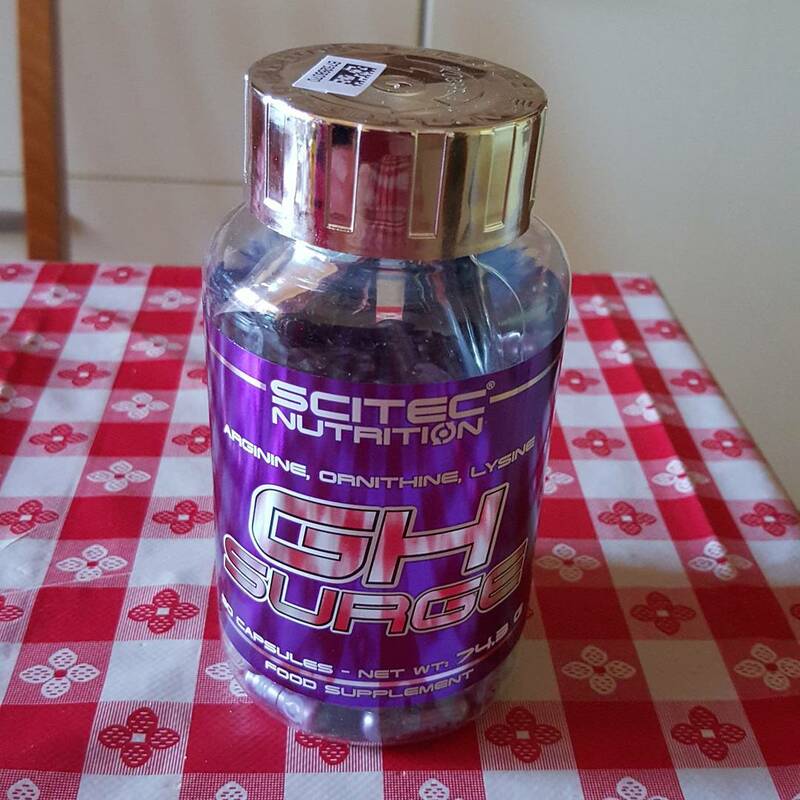 Scitec GH Surge is what your body needs! Efekty odczuwalne. Szybsza regeneracjapo treningu. Nie odczuwam zmęczenia, które towarzyszyło mi przy porannym wstawaniu. Jakość odpowiednia do ceny. Jestem zadowolony, chociaż liczyłem na nieco lepszy efekt.